Like many, I was very excited for the launch of Harry Potter: Hogwarts Mystery. It was made available for what seems like everyone this week on Google Play, and given the rating (currently at 4.5 stars), I was happy to download and potentially relive the magic that is Hogwarts School of Witchcraft and Wizardry. Hogwarts Mystery is an interesting concept because instead of replaying a storyline you already know, like Harry Potter’s time at Hogwarts, you play as your very own character off as a first year witch or wizard. Players can choose a gender, customize their appearance, then it’s off to play through an entirely new story. Once you get to the school, you can choose which House you land in, then you’re off to classes to learn charms, potions, plus all sorts of other things. While you’re doing your day-to-day schooling, though, you’ll be acquainted with the fact that you’re not the first of your family to attend Hogwarts, and in fact, there is quite a bit of drama concerning your brother who went to school at Hogwarts ahead of you. I don’t want to spoil much of the story for you, but just know that your time at Hogwarts will definitely be focused on solving an ongoing mystery concerning him. While the game looks cool and the story is pretty intriguing, the gameplay and overall fun is hampered immeasurably due to the game’s usage of Energy. You see, you can only do tasks if you have enough energy, with time or actual money being the only thing able to replenish it. This isn’t the first game to incorporate something like this and it won’t be the last, but you’re only able to get so far into the game before your energy is depleted and you’re asked to fill it up via a micro transaction or by waiting a few hours to continue on. When we’re talking about a game with a narrative, it’s hard to have your progress stopped by the running out of energy. Like a book, I want to continue reading to see what happens next. I hate being forced to stop, but sadly, that’s the state of things right now for many Android games. I’m probably not the only person who wishes an upfront price could be placed on titles to remove a mechanism such as this from within a game, but I don’t think that’s ever going to happen. 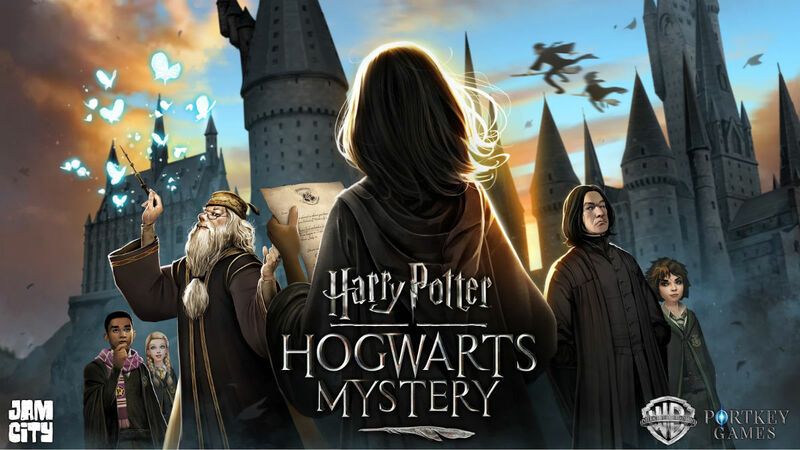 If you have more patience than me, and you really love Hogwarts and the whole Harry Potter world, check it out on Google Play and let me know your thoughts.